In today’s marketplace, consumers are faced with an ever increasing array of choices when it comes to products available for purchase. Whether shopping online, in-store or via catalog (do they still have those? ), buyers can pick and choose from a wide range of brands, models, colors and options. However, every product has at least one thing in common….the reasonable expectation that the buyer will not be exposed to unnecessary harm. Unfortunately, with the rise in consumerism has also come a substantial increase in the number of dangerous and defective products that corporate manufacturers are then forced to recall. While the danger associated with recalled products can range from minor to severe, some of the most troubling defects are those that can result in fire or explosions. Fire hazards can occur suddenly and without warning and often lead to devastating injuries or even death for the unsuspecting user. Shockingly, some of the products associated with unnecessary fire hazards include sleepwear. Thankfully, there is a resource to easily check a product’s safety and recall history in advance of purchase. 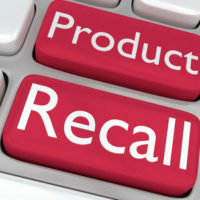 The Consumer Product Safety Commission (CPSC) maintains a government database of all recalled products and information on what consumers can do to obtain repairs, credits or refunds. Kawasaki All-Terrain Vehicles: If you own a Kawasaki ATV, you should check to see if you own one of the recalled items. About 15,000 units were recalled after the manufacturer learned that “the fuel tap can leak, posing a fire hazard.” To be clear, if you own a recalled ATV and continue to use it, you could expose yourself to a serious risk of burn injury. Firewood Vaporizers: About 400 Firewood vaporizers were recalled due to an electrical short in the product, which can lead the item to start on fire. Anyone who owns one of these products should contact the manufacturer for a repair and should stop using the item immediately. Richie House Children’s Robes: Children’s sleepwear has been subject to a product recall due to the risk of fire and burn injury. Richie House, a children’s clothing company, recalled about 1,500 sleep robes for kids after the products failed to meet “federal flammability standards for children’s sleepwear.” As such, the children’s sleep robes pose a risk of severe burn injury to kids. Richie House will provide a full refund to consumers. ASHERANGEL Children’s Sleepwear: Children’s pajama sets and nightgowns, similar to the Richie House children’s robes, failed to meet federal flammability standards. They, too, have been recalled due to the risk of burn injury to children. Consumers should not use these products and should contact the company for a full refund. Nutrilife Hydrogen Peroxide: Anyone in possession of a bottle of Nutrilife hydrogen peroxide should stop using the product and should contact the company for safe handling instructions. This product has been recalled because the bottle caps “do not vent properly and can allow pressure to build up in the bottle and cause it to expand and rupture, posing fire and burn hazards.” About 11,800 bottles are affected. In addition to products with defects that can lead to serious burn injuries, a number of household products have been subject to recalls because of different kinds of injury risks. Many of these products pose a choking hazard to children. It is extremely important for parents to stay up-to-date on product recalls to avoid injury to their kids and to themselves. If you or someone you love got hurt due to a product defect, you should discuss your options with a Boca Raton product liability lawyer as soon as possible. Contact Lesser Lesser Landy & Smith PLLC today for more information.